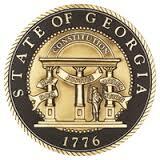 ﻿Steele Investigations, LLC is licensed by the State of Georgia's Board of Private Detective and Security Agencies. Our professional private investigators are highly trained and have experience in conducting a variety of investigations. Our investigators offer discrete, ethical and confidential investigations for our clients. We cover the metropolitan Atlanta area,as well as, the entire State of Georgia. For cases that take us outside the State of Georgia, we have colleagues nationwide and worldwide that will assist us in conducting the investigation. The investigators of Steele Investigations, LLC are proud members of prestigious organizations as , World Association of Detectives, National Council of Investigation and Security Services, Georgia Association of Criminal Defense Lawyers, Georgia Association of Professional Private Investigators and Florida Association of Licensed Investigators. Our investigators have a combined 50 years of military, corporate and investigative experience.